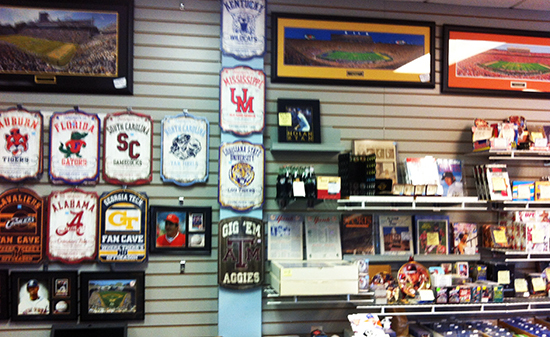 Sports fans, gamers and memorabilia collectors are all very passionate about their hobbies so recently on a business trip to Georgia I wanted to visit some of the shops that cater to these customers. 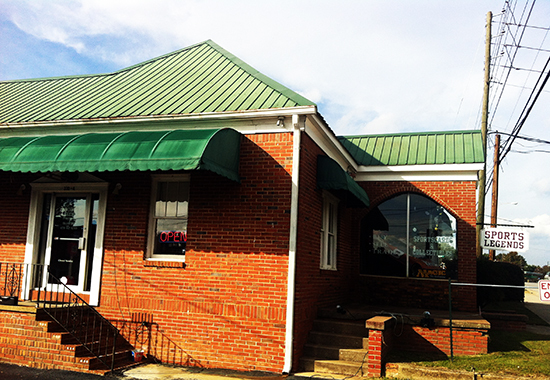 If you are spending time in Atlanta or elsewhere in Georgia, here are three Upper Deck Certified Diamond Dealers I thoroughly enjoyed visiting. 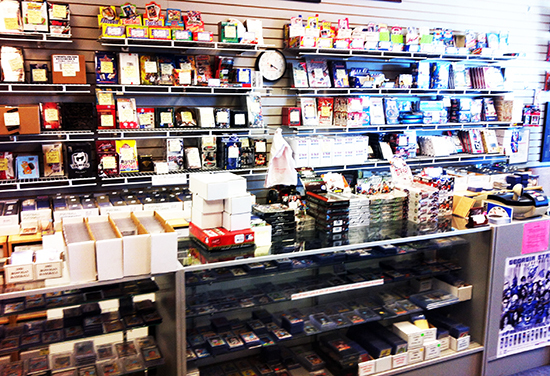 I’ve known Chris Gilmore for years and was very excited when he expanded his popular online community Freedom Cardboard by opening up a hobby shop of his very own in Alpharetta. 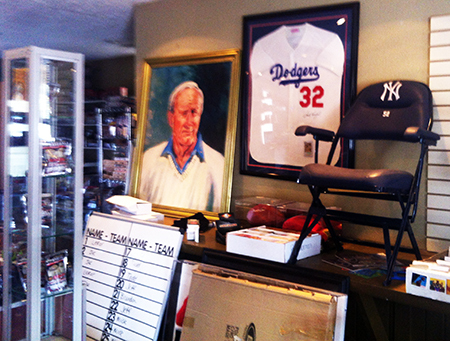 I loved that the shop has a couple places very nearby to watch games as there’s nothing like watching a great game and then grabbing some cards or memorabilia from the stars of that game. 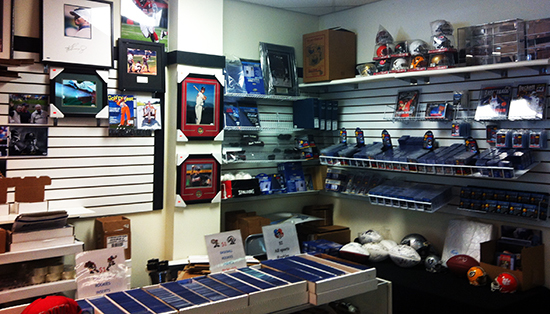 They have a good supply of sports collectibles and some unique memorabilia as well. Best yet, if they don’t have it, Evan Feuerstein who runs the sports card side of the business certainly knows how to get it. 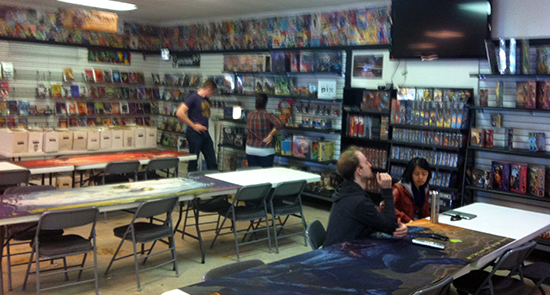 The main driver for the shop is the gaming division and they have a tremendous amount of space for tournaments. 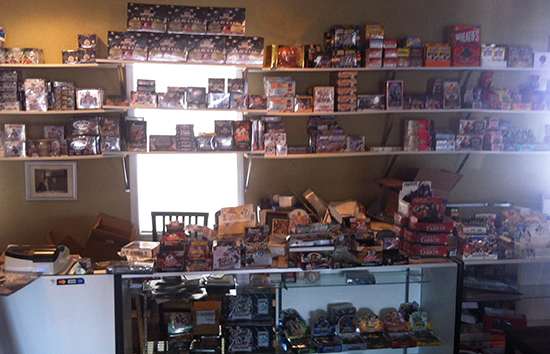 I talked to several fans who appreciate Upper Deck’s Legendary™: A Marvel Deck Building game. 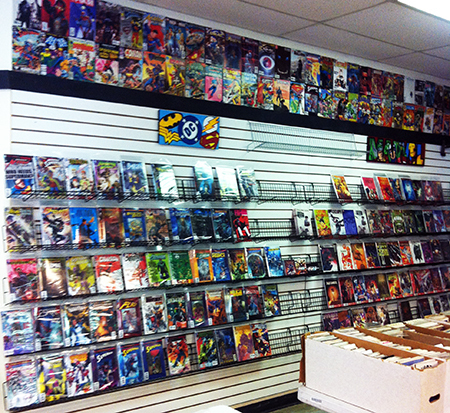 If you enjoy the gaming category, this is one shop you will definitely want to hit! 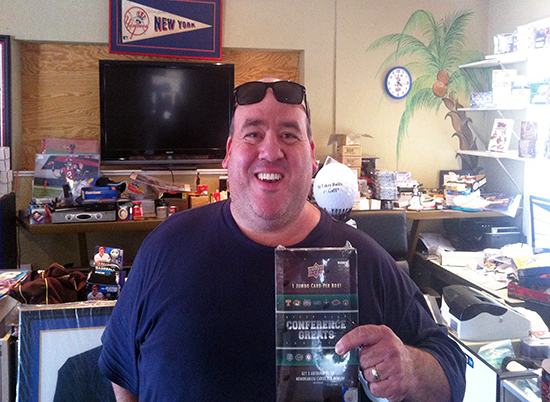 During my visit a die-hard collector named Tom pulled a Joe Namath autograph card from 2014 Upper Deck Conference Greats Football, WOW! I’ve talked with Ross a lot over the years, so to be able to walk in his shop was a tremendous thrill and WOW, what a shop! 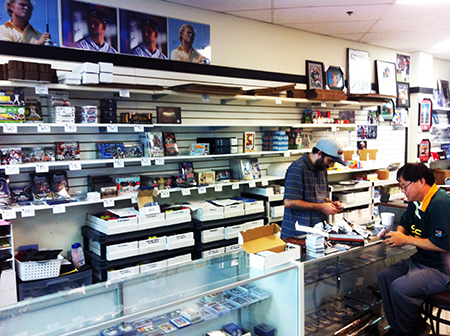 Champion Sportscards is one of the most impressive, organized and fan friendly stores I have ever been in. 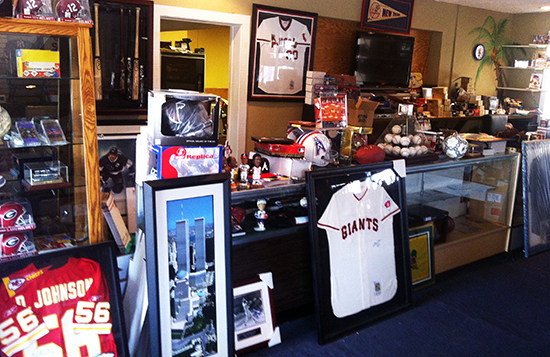 If you are a sports fan or looking for the perfect gifts for sports fans, you absolutely have to visit them. 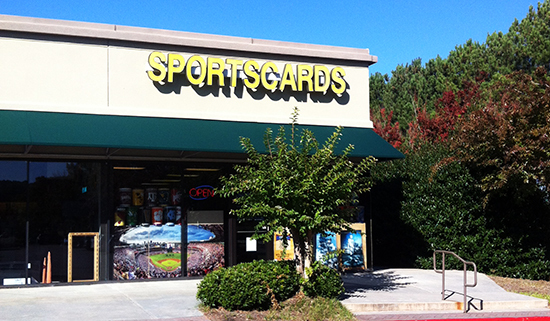 They have an impressive line-up of sports trading cards available from all sports and years with a wide array of supplies. 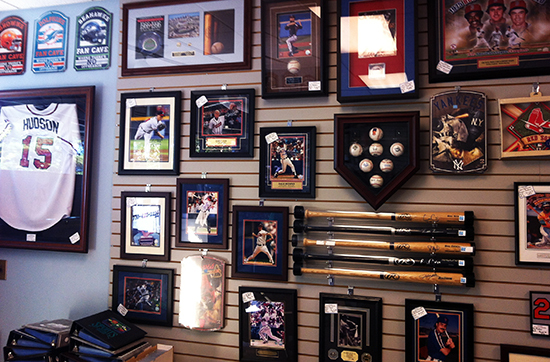 Additionally, I was blown away by the incredibly selection of sports memorabilia in the shop. 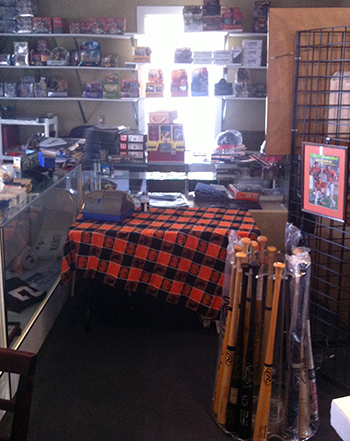 The shop is almost like an amazing mancave and they even have a television on playing all the games. 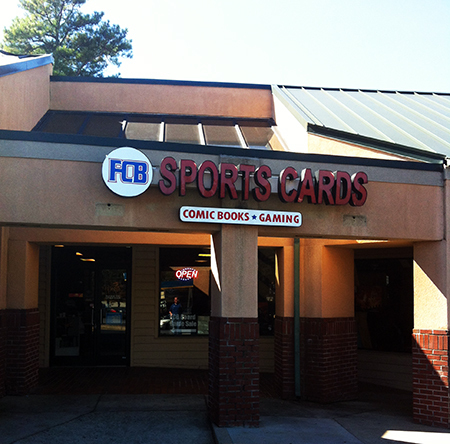 This is a must-stop shop for sports fans in GA.
Stop in and see Ross & his team at Champion Sportscards, you’ll be glad you did! I think I surprised Steve Chafardon when I walked through his doors as nobody from any card company had walked through his doors in decades. Although I was short on time, I had a nice conversation with Steve. It confirmed what I thought about him, he LOVES his customers and will do anything to help them out. If you are near Fayetteville trust and believe that Steve will be on your side to get you whatever you need at a fair deal. 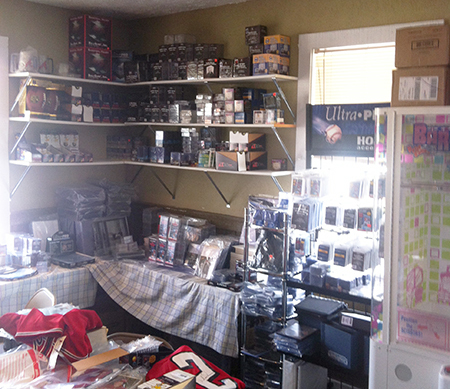 Not only does he have a solid supply of sports cards, but he has an incredible knowledge on the hobby. He should be a tremendous resource for collectors getting started in the category or even seasoned pros. 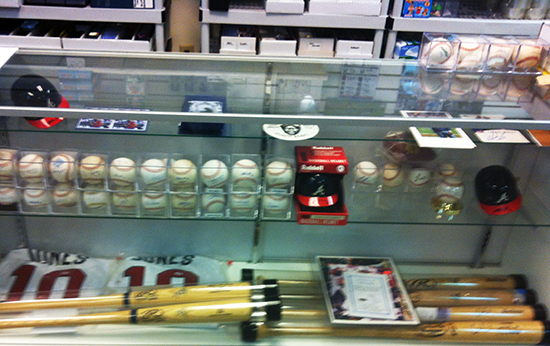 Steve also carries some unique memorabilia items that are worth checking out. 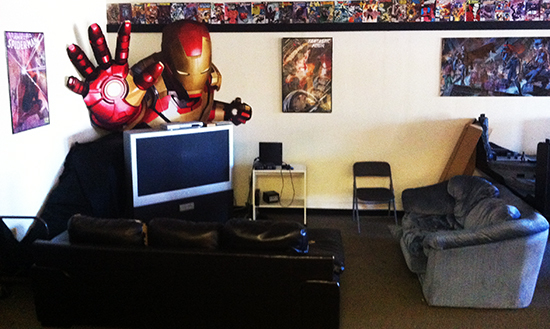 Steve really enjoys having kids in for gaming tournaments as well. 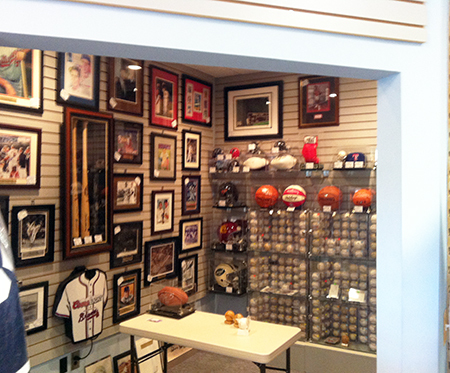 Sports Legends really has something for everyone! 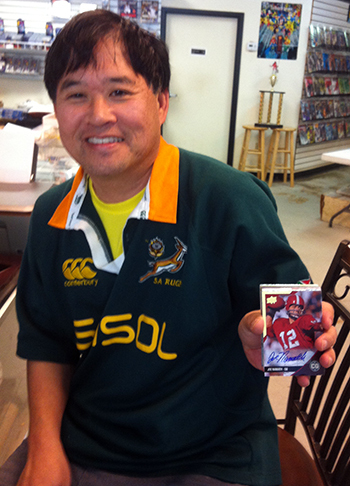 Steve shows off some of Upper Deck’s new 2014 Conference Greats Football at his shop. very nice collection. it’s a beautiful shop !!! pictures are very nice. 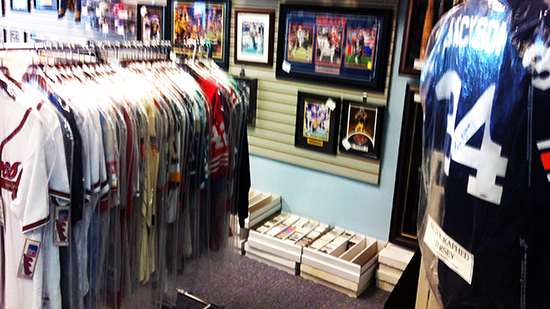 You should have visited On Deck Sports cards in Lawrenceville! Best shop in Atlanta, in my opinion. Go there next time too.